10,000 fireworks will fill the sky above Rainbow Bridge! “Odaiba Kaijo Geijutsu Hanabi Matsuri 2017” will be held! 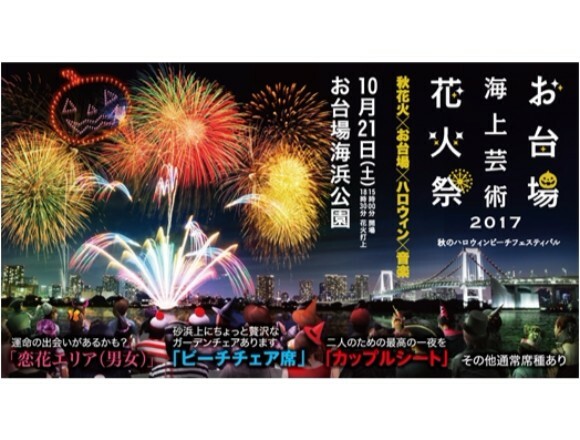 “Odaiba Kaijo Geijutsu Hanabi Matsuri 2017” ~Aki no Halloween Beach Festival~ will be held on the 21st of October (Sat.). This is a hanabi (fireworks) event using the latest technology in the hanabi industry called “Music Hanabi,” a technology of mixing music and hanabi together. 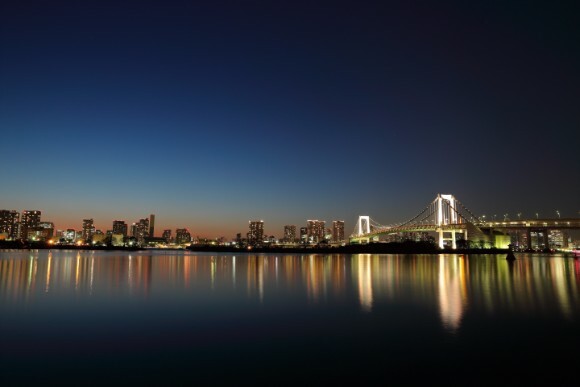 The program will be held at Odaiba which is known as one of the most gorgeous spots in Tokyo. A secret area called, “SP Twilight Lounge” where only one group (up to 12 persons) can use will be opened. A VIP area where only one group (up to 12 persons) can use will be opened. It is a private lounge where hanbi can be enjoyed at close proximity. Collaborating with the magazine “Popteen.” The guest models of the second collaborative event were announced. 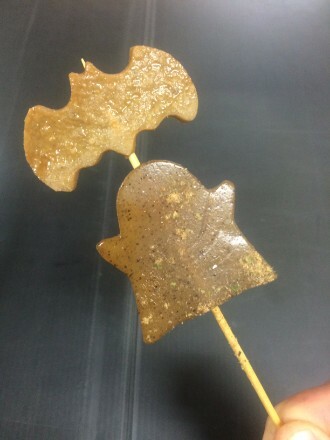 “Halloween Walking” which is held under the theme of “Let’s enjoy a hanabi program and a mascaraed party at the same time!” will collaborate with the magazine “Popteen” and hold an event where participators can walk with the guest models in Kaihin Park. 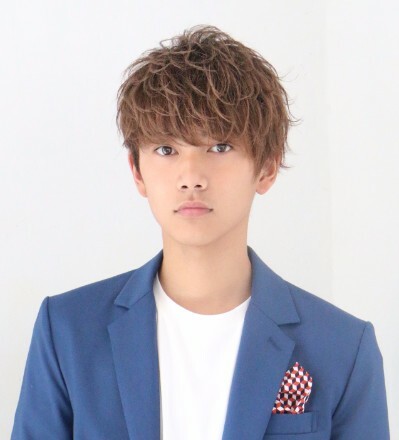 Shuichiro Naito and Meruru who are very popular among junior high school students will participate in the event. They will cheer on the event along with seven other models such as Mikupi and Nachos. Street performers will also liven up the venue! Various kinds of performances will be performed to celebrate Halloween. Street performers will welcome the guests at the entrance of the venue. They will participate in the parade along with the models of Popteen to liven up the atmosphere. Information RE: the food area was released. 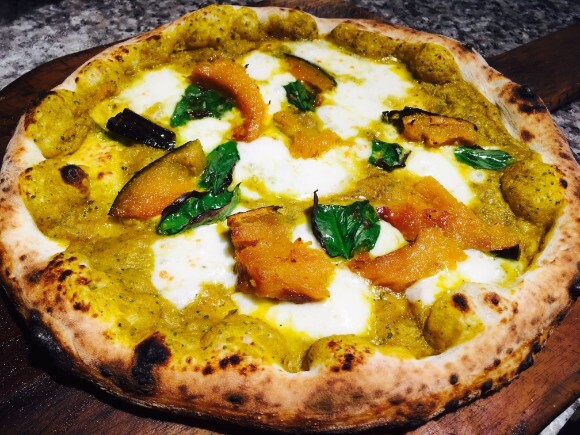 Here, you can enjoy all kinds of enjoy Halloween food. A food area will be prepared so that the visitors can enjoy the event throughout the day. 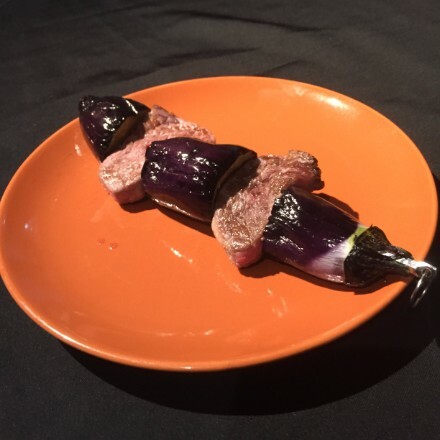 Nine restaurants including a Mexican restaurant, an Italian restaurant, a Tai restaurant and Nikkunroll which is known as the soul food of Shimokitazawa can be enjoyed. 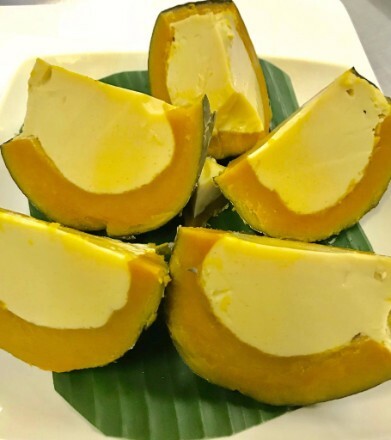 Each restaurant will offer limited Halloween-related menu items including pumpkin cream, and menu items using pumpkin and oden (Japanese winter dish). 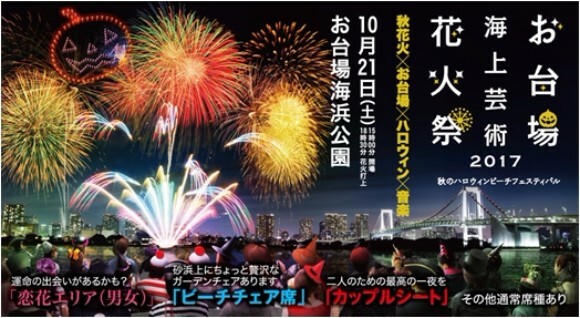 This autumn, let’s enjoy this all-round event of music and hanabi in a wonderful location. ※Events including parade will be held as soon as the venue opens. ・Basically, you have to use a vinyl seat which will be handed out at the entrance of the venue when using the Seaside Area and Rainbow View Area but there are some seats available. ・Child below 3 years old – free　※However, a seat will not be handed out (you have to buy a ticket for children if you need a seat). A child older than 4 years old must pay the entrance fee. ・Changing clothes inside the venue is not allowed. ・The event will be canceled depending on weather conditions (an announcement will be made in the official website when the event will be canceled). The event will be held on the 22nd if the event is cancelled. ・For those of you who are planning to use a camera using a tripod stand, make sure to stand at the rear position of each block (Seaside Area and Rainbow Area). The staff might warn you if you are blocking the view of other visitors. ・Persons who are older than 20 years old can purchase the ticket to the Koihana Area. We may ask you to show identification so please do not forget to bring your ID. 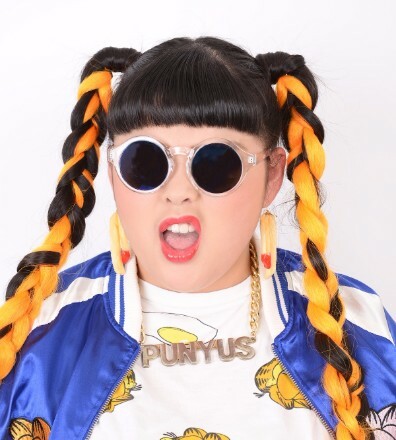 Popular Japanese artists to perform at SACRA MUSIC FES.2019 -NEW GENERATION-!